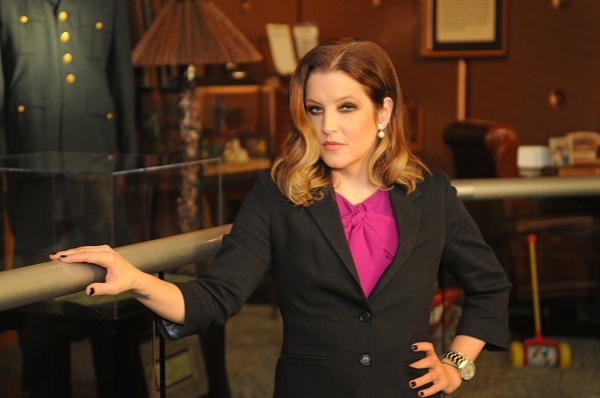 Lisa Marie Presley opened a new exhibit at Elvis Presley’s Graceland in Memphis as part of a yearlong commemoration the 35th anniversary year. “Elvis…Through His Daughter’s Eyes” explores the relationship between Elvis and his only child. Presley has been personally involved in the exhibit’s development and planning. Visitors will see numerous items including rarely-seen family photos and home movies that explore her childhood and special relationship with her father. Artifacts include Presley’s baby footprints, tricycle, record player, key to her personal golf cart, and dozens of other priceless items that highlight the influence of her father in her life. This exhibit is part of the Graceland VIP Tour during a two-year run from now through February 2014.
Credit: Elvis Presley Enterprises, Inc.